I just read an article discussing whether obesity should be classified as a disease . It made me think. I think, I one of the “dangers” of classifying obesity as a disease, is that people might stop taking responsibility and say “oh sure, it’s genetics”, “oh, sure it’s bad luck”. They will go to their GP’s, hoping they can provide a pill that will solve the “disease”. And this pill does not exist – yet, anyway. On the other hand, many people, once they have been diagnosed with a disease, such as diabetes or heart disease, actually do get a wake-up call and feel highly motivated to make some changes to their life-style and diet. So, maybe, like anything, it will come down to the person who is “diagnosed”. It is undeniable that good nutrition plays a vital role in our health, yet so few people actually make that association that how they feel, what their energy levels are like, what pain they’re in, could have anything to do with what they eat. What is fundamentally wrong is that most people associate healthy eating today with fad diets and with deprivation. Why? Because they are addicted to sugar. And why are they addicted to sugar? Because the food industry has been putting sugar into everything. I don’t even want to call most of the stuff that you can now find in the supermarkets “FOOD”, because I don’t consider anything that is highly processed and consists only of starches, sugars, highly refined fats as FOOD. It’s not nutritious, it provides your body with some fuel but not with nutrients and it is disease causing, by causing inflammation and is building up toxins in your body. If you eat a lot of those processed foods, you are going to get sick at some stage! What I often hear though is, so and so was eating healthy, but still got a stroke or cancer, so it doesn’t mean anything. And yes, there are people who are genetically pre-disposed to cancer or other diseases. However, from all the epigenetic studies now, just because you are pre-disposed does not mean that you will get the disease. Now, people do feel easily “blamed” if there is even the smallest chance that your lifestyle and your diet could have contributed to your disease. But what if you didn’t know better? You could have a genetic fault with your detoxification mechanism in your liver, and therefore you might not have been able to get rid of some toxic exposure over which you had no control years and years ago. You wouldn’t have known that you could have benefitted from extra nutritional support for your liver, so you cannot be blamed. But neither can your genes or your life-style be blamed. Unless you get everything tested regularly, you often don’t know what’s going on in the background of your body for years. Look at the auto-immune diseases. You can have antibodies for years, before you even get the first symptoms. And even those are often ignored and just treated with pills, until it becomes a full-blown disease. So, how can you be blamed for something you don’t know that is actually going on in your body? I probably would have had my thyroid antibodies for many years before I was diagnosed with an underactive thyroid. Had I done tests in the early stages – but why would I have tested for those?? – I might have probably been able to stop those antibodies in the early stages from destroying my thyroid. I don’t think much of the knowledge that is out there now, was actually available 20 years ago, but now there is plenty of evidence that certain foods can trigger those antibodies. So, had I had this knowledge, I could have done something. Am I blaming myself – no! But I know now that I need to take responsibility. I know that I can’t just keep taking the tablets and not do all the other necessary things that I need to do to at least avoid the worse symptoms. Going back to obesity as a disease. I don’t think “blaming” people for having brought obesity on themselves is helpful in any way, and calling it a “life-style disease” is probably doing just that. However, it does not mean that anyone who is obese, should not take responsibility, and should just blame the genes or bad luck. First of all, I would blame the food industry and our current way of life. As mentioned above, we are constantly exposed to food-like substances. And those are around us everywhere: in supermarkets fast-food outlets, petrol stations, airports, etc. This “stuff” is full of ingredients that trigger our pleasure and addiction centres in our brain, and therefore we associate them with pleasure and reward. And therefore, telling people to remove those from their diet, is associated with deprivation. So, absolutely, treating sugar addition like an addiction would be a great thing. But the difference between alcohol and other drugs and sugar is, that sugar is so much more prevalent and it’s impossible to avoid. And who offers this service? Are addiction counsellors trained in nutrition to give proper advice? Are dieticians trained in counselling to support the person? I don’t know, but I know as Nutritional Therapist, the “therapeutic” and “individual, personal” approach is the key element of our training and practise! What is clear that with all the dietary advice that is currently out there and everywhere, it does not seem to get through to the people who really need the help and the support? I see it in my practise. The people who are willing to take out programs are those who are already taking responsibility for their health and their bodies, but it’s rarely the ones who really need the support, and the personal advice. Just handing someone a diet plan and telling people to eat more vegetables does not work! The approach has to be a personal approach, as we all lead different life-styles, we all have different food likes and dislikes and we all have a different health history. What is good for one person might be bad for someone else. If broccoli and cauliflower are causing major stomach cramps or bloating, they might just not be right for you! Just telling people in one session what to do, and handing out a food plan, is also not going to work. It needs to be a longer term treatment plan, that helps deal with addiction, gives the support and motivation and most importantly very practical advice on planning, shopping and cooking. The health system needs to realise that obese people like any other “disease” needs a proper treatment plan over a longer time period. And it needs to start referring “patients” to Nutritional Therapists or other health professionals who understand the complexity of nutrition. And obviously the health insurers need to pay for those services. 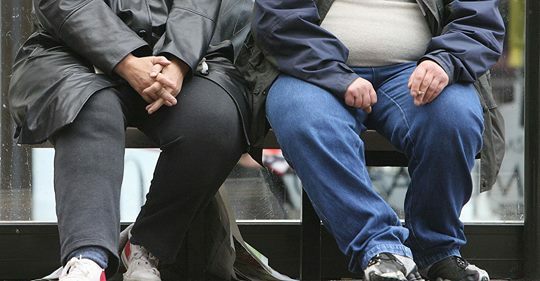 And if this is the outcome of obesity being classified as a disease, it would be a good thing and it would most likely be able to really get to tackle it. The current models are obviously not working! If this article has made you curious, please contact me for a completely free 20-min consultation.